Nottingham occupies a very central area of England, in the county of Nottinghamshire and the East Midlands district. The M1 motorway network passes within less than 10 miles of the western edge of the city, making many of Britain’s largest cities much more accessible. The iconic city of Nottingham is one of the largest unitary authorities in the United Kingdom. Home to Robin Hood and his merry men - Nottingham and Nottinghamshire can be found the East Midlands County of England. The population of Nottingham has been increasing ever since it was first recorded in the 4th century, with latest counts putting the figures at more than 300,000 residents. 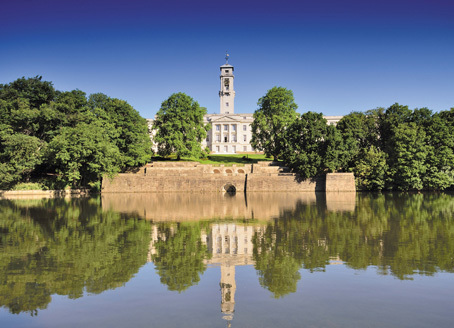 This number can increase by up to 15% during term time as the 60,000 strong student base of Nottingham Trent University and the University of Nottingham relocate. Along with the rest of the Midlands area, Nottingham has a diverse range of ethnic populations and religious practices – with just a 65.4% White British majority. Other demographics include a thriving 13.1% Asian minority, 7.3% Black and 6.7% Mixed Race. In the heartlands of the country, Nottingham has always enjoyed an importance in trade and transport – from its boom during the Industrial Revolution as a manufacturing power, to its modern role as a business capital of England. Famous people from Nottingham include the pioneer John Boots of Boots Chemists and famous romantic poet Lord Byron. This influence has made Nottingham the home to many headquarters to global giants, as mentioned previously Boots, as well as Experian, Paul Smith, Capital One and more. Nottingham is also steadily growing into a hub for small businesses with technology and science sectors seeing huge growth overall. Nottingham has become one of the top cities in the UK for Buy to Let Investment and property investments in Nottingham can offer investors attractive yields of around 5.6%. The city has also been competing against locations such as Liverpool for the top spot when it comes to the top performing cities and gross rental yields. 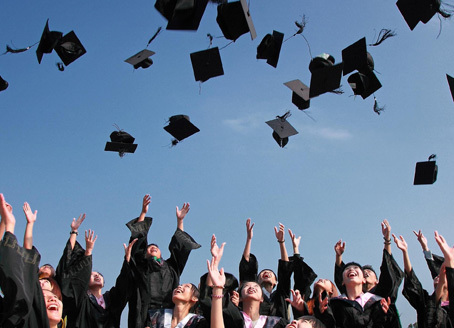 The fact that the city is today home to almost 60,000 full time students, has meant that there is significant demand for student property investment in Nottingham city centre, as well as the surrounding districts such as Lenton and Beeston. Nottingham has lots to offer its students; transport links within the city are excellent and allows students to travel by car, bus or tram. 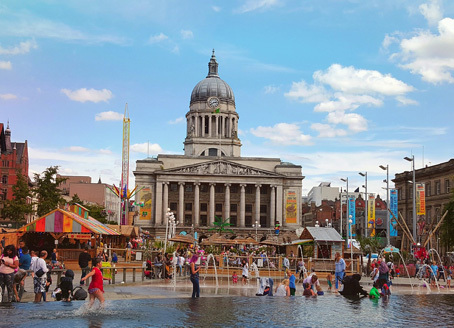 Shopping, food outlets, leisure activities and nightlife are all elements that make Nottingham a hub for students to live, work and play. Overseas students and tourists in general have always enjoyed the legends that are associated with Nottinghamshire and so because of this and the ‘uni life’ that many overseas students want to experience from traditional student accommodation as well as more modern housing, there are more opportunities arising for property investors looking for student property. New directives currently being undertaken by the local council authorities have seen a gradual push towards more city centre based student property investments in Nottingham. 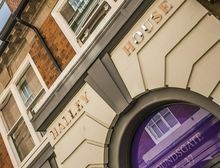 Over the past two years, we have seen a number of high quality student properties being launched in the central Nottingham area, which have seen considerable interest from students and investors alike. Historically the River Trent was an important hub of the city for both transport and trade, though it has since become more of a cultural icon. Connection with the M1, M6 and M5 bring travel times to London within 2.5 hours, Manchester in less than 2 hours and Birmingham just 55 minutes. East Midlands airport is less than 15 miles south-west of Nottingham and the city also has one of only six light rail systems in England, along with a national rail service. 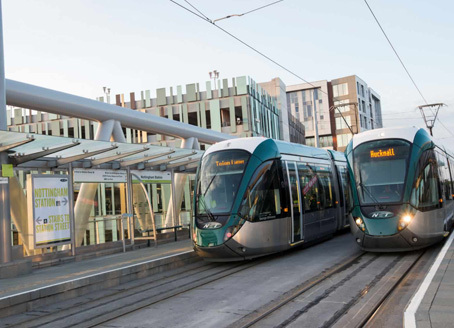 The Nottingham Local Transport Plan aims to create an excellent low carbon transport system and network that will not only further develop the growth of the economy but also improve the lives of residents in Nottingham and neighbouring villages by improving the access to many services and opportunities of employment and training. Local roads, cycling, walking, public transport and highways are all part of the future improvements that will advance the flow of Nottingham. Nottingham already hosts a range of brilliant investment opportunities from student property, office space, commercial property and residential property; however the city is looking towards the future and has big plans over the coming years. Developments into the city are full steam ahead with the current ‘Southern Gateway’ which is part of a £250m development project from D2N2. The project includes a huge makeover for the area surrounding Nottingham Station which will include the development of a new Car Park and Bus Station, as well as an improved shopping complex that aims to create more shops, leisure facilities and restaurants. 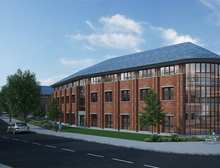 Other developments with the ‘Southern Gateway’ includes the £58m project; ‘City Hub’ which is a six-storey building and will welcome a range of learning areas of popular subjects within the city such as; business, science, administration and computing, catering and more. These learning areas extend themselves into the on-site café and restaurant which offers its own training, as well as a theatre and business hub. The city is hopeful this investment will benefit the local economy, its residents and businesses and help to attract more students into the city as it provides more opportunities to those currently studying and those looking to relocate to Nottingham. 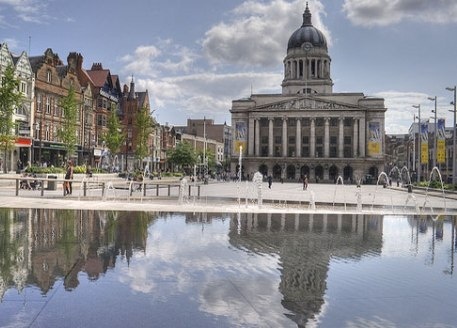 Efficiency is the key ingredient to these exciting developments and with an abundance of investments coming into Nottingham through various avenues, property investors should keep a keen eye on what is to come next for Nottingham in the near future. For more information or to enquire about any of our property investments in Nottingham, please contact Hopwood House today.